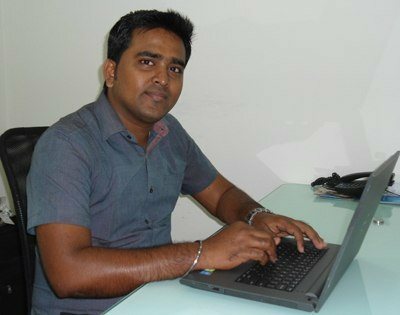 Mr. R. Ramamoorthy has joined Accutome, Inc. as Market Development and Product Support Manager for India. Ramamoorthy’s appointment is a significant investment by Accutome in the strategically important India market and will drive our efforts to make Accutome a respected brand of choice among ophthalmic doctors in India. Mr. Ramamoorthy comes to Accutome with a background of education in Computer Engineering and a strong background in promoting advanced technology diagnostic instruments to the ophthalmic industry. While the India market offers many opportunities for Accutome’s unique products, Mr. Ramamoorthy’s initial efforts will be focused on creating awareness about Accutome as a premium manufacturer of ophthalmic diagnostic devices like A-Scan, B-Scan, UBM, Pachymeters, Accupen Tonometer, as well as Accutome’s surgical product line; diamond knives, cannulas and cystotomes, forceps, I/A systems, markers, Phaco manipulators, scissors, speculums, and other instruments for surgeries. Ophthalmic doctors around the world have come to depend on Accutome for precision diagnostics in eye care, because when it comes to eyesight, nothing can be left to chance. Accutome is especially known for unsurpassed customer service. By offering a broad product line, Accutome can help ophthalmic practices lower costs by offering a one-stop shopping experience and bundled pricing.